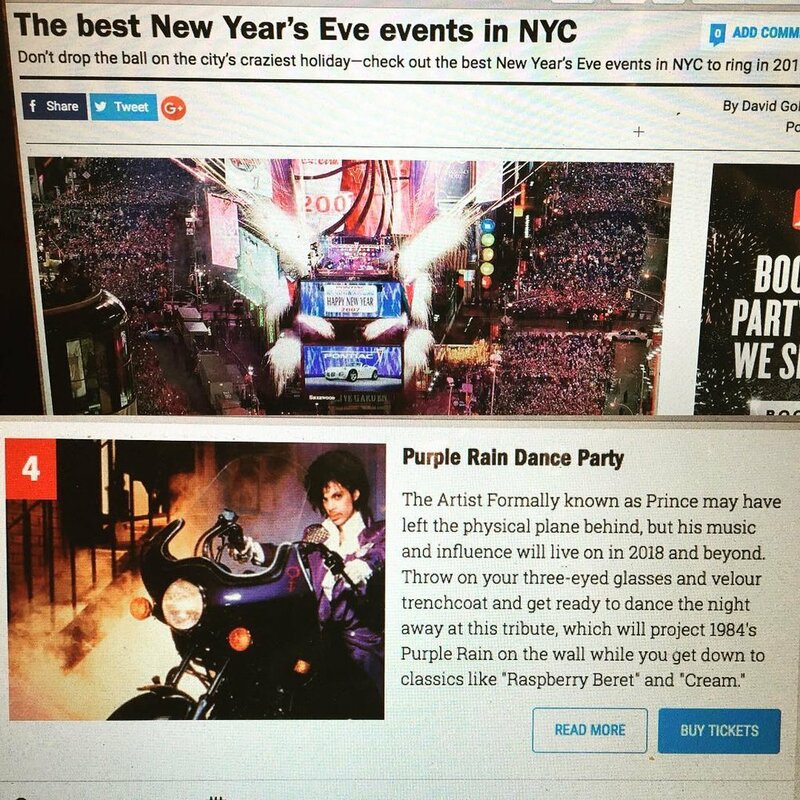 Timeout NYC just ranked the Hogstad Brothers' fourth annual Purple Rain New Year's Eve dance party right at #4! Tickets moving fast and this will definitely sell out before New Years. Looking forward to another amazing one with you all this year! Thank you Prince for the most amazing Purple Rain NYE yet. It was a magical, dance-filled night. A couple hundred Prince heads on the dance floor honoring the man months after his passing. Syndicated was a beautiful venue and the midnight moment was something special followed by a full crowd sing along of Purple Rain, lighters and phones in the air. Feeling refreshed to take on 2017 like nobody's biz.